There is no reception, in order to get in, the guest must complete a check-in online in order to recive the instructions fro self check-in otherwise for manual check-in there will be an extra cost of 20€. Nella struttura non c'è una reception. Per entrare è necessario compilare il check-in online e ricevere le istruzioni per il self check-in, altrimenti per il check-in manuale ci sarà un costo di 20€. Great bedroom with private bathroom. The bedroom is in Esquilino quarter, located at 10 minutes walking from Colosseo and Termini Station. It is located inside an ancient building (late XIX century). Wi-fi connection. Prenotando online, si accettano le condizioni di contratto "Locazione Turistica" come definito dagli articoli 1571 e seguenti del Codice Civile e dall’art. 1, comma 2 lett. c), della legge 9 dicembre 1998, n. 431 nonché dall’art. 53 del Codice del Turismo, ******** ********. Gli ospiti devono comportarsi nel rispetto delle altre persone che soggiornano nel b&b. Nelle stanze non si può fumare e non sono ammessi animali, anche di taglia piccola. Nel wc si può gettare solo ed esclusivamente la carta igienica, pena l'addebitamento dei costi di riparazione. Al totale, va aggiunto il costo della tassa di soggiorno pari a 3,5€ a persona a notte. Se si desidera dormire in letti separati(dove possibile), verrà applicato un supplemento di 10€ a letto utilizzato. By booking online, you agree to the terms "Tourist Locations" as defined in Articles 1571 et seq. Of the Italian Civil Code and Art. 1, comma 2 lett. c) of Law 9 December 1998, no. 431 and art. 53 of the Tourism Code, Legislative Decree ********. Guests must behave in accordance with the other people staying in the b & b. In the rooms you can not smoke and pets are not allowed, even small in size. In the toilet you can throw exclusively toilet paper, worth debiting repair costs. To the total, you have to add the cost of the tourist tax of 3.5 € per person per night. If you want to sleep in separate beds (where possible), there is an additional 10 € per bed used. 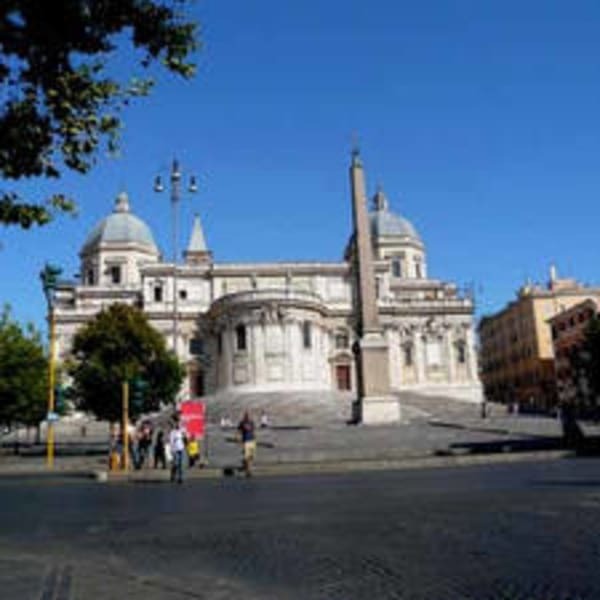 The B&B is located in the Esquilino area in the heart of Rome. The place, conveniently located between two Metro line "A"stations (Manzoni and Vittorio Emanuele), allows you to easily explore most of the sights of the Eternal City. On foot, you can easily reach the Domus Aurea, which leads directly to the foot of the majestic Coliseum. Then, continuing along the Fori Imperiali, you get to Piazza Venezia. From there you can walk down Via del Corso, the shopping street of Rome with its trendy shops, within walking distance of the finest monuments of the city. From b & b you can also easily reach the place where the best known of all the festivals (concerts in Saint John, Circus Maximus). You can contact Oro through the Contact Host button on this page. If you've already booked, go to My travels.